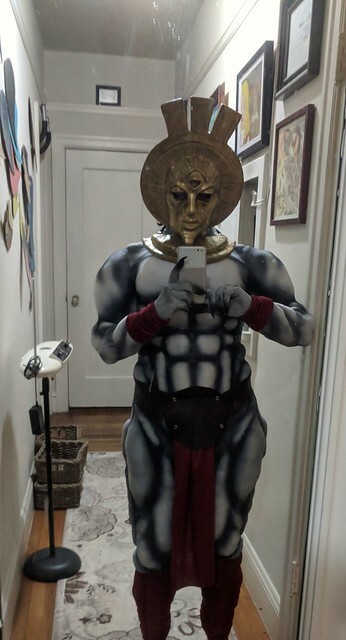 For the Dagoth Ur costume hands (to go with the Dagoth Ur Mask), I initially did a few trial runs with gluing the nails onto my hands and painting my hands with the facepaint, but I soon ended up with facepaint on everything. 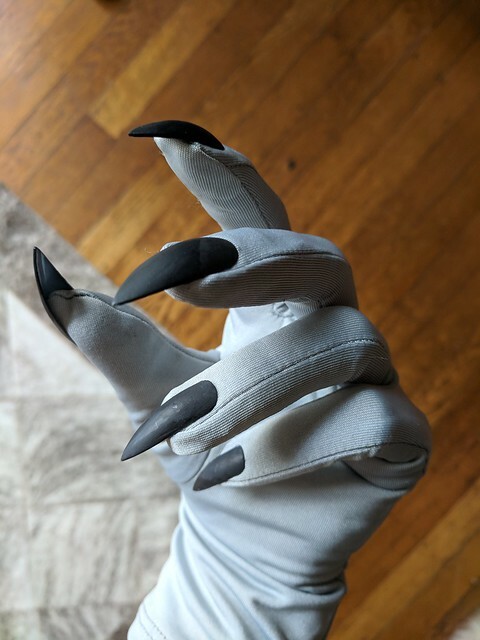 So I elected to instead make gloves. Luckily the cloth wrist (and ankle) wraps cover all the seams, so I don’t have to worry about that. 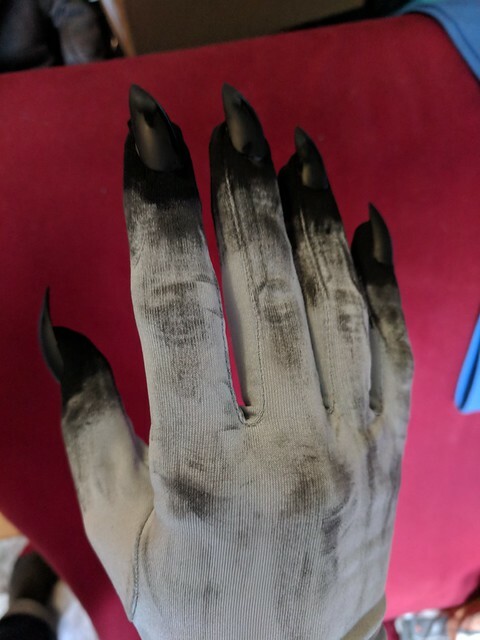 Then I dry-brushed black onto the gloves, to bring out hand/finger details, and to make the nails look like they reach really far back onto the finger. 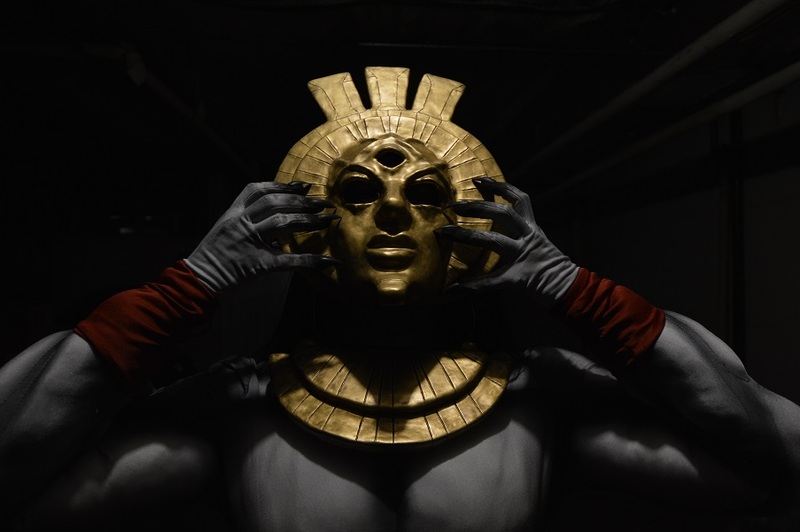 I went back and fourth for weeks trying to decide if I should make the nails red (the way Dagoth Ur’s nails actually appear) or black (which I thought would look scarier). I went with black, and I don’t know whether that was the right call. I guess I could always re-paint them red? This entry was posted in Art, Gaming, Personal, Videogames and tagged Dagoth Ur, Morrowind, The Elder Scrolls. Bookmark the permalink.